[DHIKR AND MUROTTAL THERAPY TO DECREASE ANXIETY IN PREGNANT WITH LOW PRE ECLAMPSIA] Maternal death is still a major problem in developing countries. The three major causes of maternal deaths in Banyumas one is preeclampsia. Pre-eclampsia is a collection of symptoms that occur in pregnancy, childbirth, postpartum consisting of hypertension and proteinuria. The study says that the anxiety associated with preeclampsia. This study uses the Pre-experiment design Pretest-PostestControlGroup. Measurement of risk factors (anxiety) used a questionnaire T-MAS (Taylor Manifest Anxiety Scale) Respondents who participated as much as 40. Test statistic relaxation remembrance Z value calculated at 3.923 and p-value 0,0001. Statistic murottal therapy Z value calculated at 3.927 and p-value of 0.0001. Different test dhikr relaxation whit therapy murottal obtained the p-value of 0.004. Conclusion Relaxation dhikr able to reduce anxiety in respondent. Terapi murottal also able to reduce the anxiety of respondents. Relaxation dhikr has better effectiveness in reducing anxiety by looking at different p-value and mean. Clients whose intervention demands activities according to their abilities have strong internal strength and motivation. Isworo, A., Hakimi, M., Wibowo TA., Hubungan antara kecemasan dan kejadian preeclampsia. Berita Kedokteran Masyarakat Vol. 28, No 1 Maret 2012. Jacob. 2009. Edgar Dale’s Cone Of Experience [online]. Tersedia di :http://www.slideshare.net/jacobsonsea/edgar-dales-cone-of-experience1. [diakses pada tanggal 25 Oktober 2016). Manuaba I, Editor: Nuning Z, dkk. (2007) Pengantar Kuliah Obstetri, Ed. I, EGC, Jakarta. Mardiyono, M., Songwathana, P., and Petpichetchian, W. (2011). Spirituality intervention and outcomes: Corner stoneof holistic nursing practise. Nurse Media Journal of Nursing, 1(1):117–127. Potter & Perry. (2006). Buku ajarfundamental keperawatan : konsep,proses dan praktek, volume 2. Jakarta: EGC. Suliswati, dkk. (2005).Konsep Dasar Keperawatan Kesehatan Jiwa, EGC, Jakarta. Suryani, (2013) Shalat and dhikr to dispel voices: The experience of Indonesian muslim with chronic mental illness: Malaysian Journal Publish Online Early. Wahyu, R., Deswita. 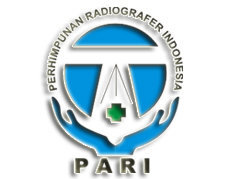 Pengaruh terapi murotal terhadap tingkat kecemasanmenghadapi persalinan pada ibu hamil.Ners Jurnal Keperawatan Volume 9, No 2, Oktober 2013. Winkjosastro, Hanifa. (2005). Ilmu Kandungan Edisi 2 Cetakan Ke-4. Jakarta: YBP-SP.